Michael Maxwell, Big Walnut class of 1982, said he became interested in the British monarchy while doing a report on them for at the then-Middle School. “She shook hand with AIDS patients without wearing gloves like everyone else did. That’s the essence of what Diana was,” Maxwell said. 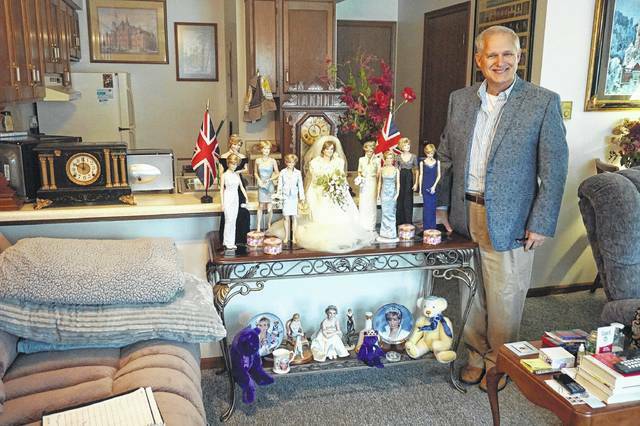 https://www.delgazette.com/wp-content/uploads/sites/40/2017/08/web1_DSC00474.jpgMichael Maxwell stands with some of his Princess Diana memorabilia at his Sunbury home.